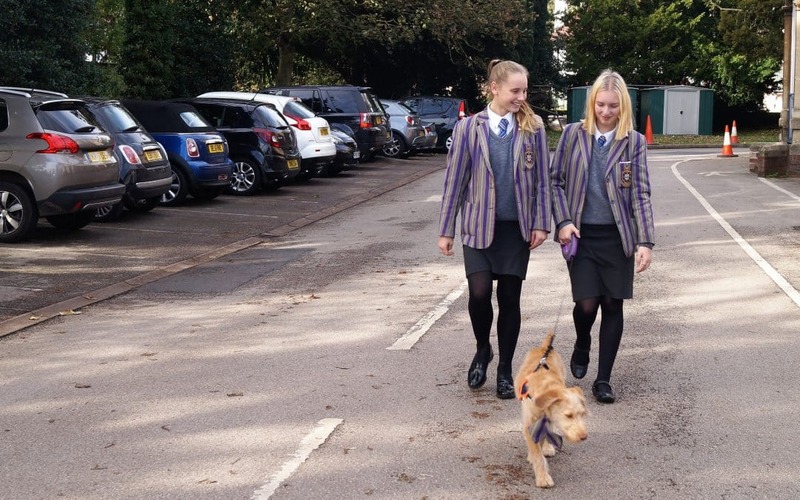 School dog ‘Fern’ joined Holy Trinity School and Sixth Form Centre in Kidderminster at the start of this academic year at the age of 3-months. Over the last 4-months she has been acclimatising to her new environment and getting to know her new friends. Once fully trained, Fern will be used to support the school’s well-being programme and working alongside the school counsellor, will be a regular visitor to the school’s libraries, encouraging pupils to read to her, promoting confidence and independence in a skill that underpins all learning.